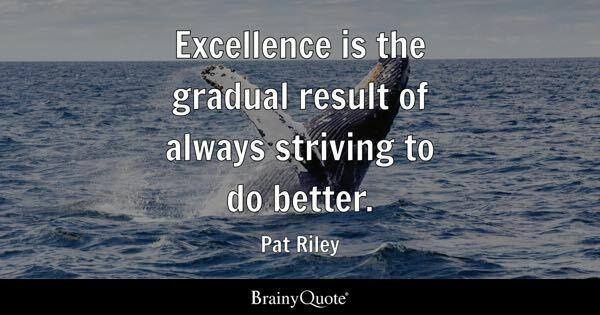 Through social media many of us regularly share examples of excellence in classrooms, schools, and districts across the world. Twitter and other tools provide me for one with a daily and continuous dose of inspiration. In many cases students have been empowered to take ownership of their learning by being allowed to pick the right technology tool for the right task in order to showcase what they have learned. Conceptual mastery is now being demonstrated through the creation of artifacts that align to more rigorous standards and the attainment of essential skill sets. In these cases learning has become more meaningful and relevant for students, which in turn sets the stage for increasing achievement. The amplification of these stories through the use of social media would make the unknown observer think that this is common place, but in reality it is the exception. Once one moves beyond the lens of social media, innovative practices, especially those involving the purposeful integration of technology, are mere isolated examples of excellence. When it comes to technology integration in schools transformation has been painstakingly slow. It can no longer be acceptable to pat a select few on the back while others either are unwilling or not pushed to change. This does not best serve the whole child or every child for that matter. We must not only make a habit of modeling these practices online, but also in our schools. Isolated pockets of excellence need to become the norm, not the exception. Regardless of your position it is on your shoulders to help usher in change at scale across your respective system to create schools that work for all kids. Eric you make a great point. I especially think we must push for these changes while our children are still young. The older they get the more rigid their thinking often becomes and the neuroplasticity of their brain changes. Now is the time, while they "don't know any differently". Change will seem commonplace to them and risk taking will be the norm. That would be nice wouldn't it? I'm sure I can do a better job myself at modeling this and will make this a goal in the future. Change needs to become scalable so that all kids, regardless of age, benefit from a more relevant learning experience that actually has value. It will take a collective effort from all stakeholders (teachers, admin, parents, and students) to demand and expect that these isolated pockets become systemic across all classrooms, schools, and districts. Thanks for commenting Jon. A friend of mine in educational leadership, was telling me last week about a learning walk he conducted with some of his students. He gave all the students a camera and said "take five photos of typical learning and five photos of GREAT learning". Once they had all taken their photos they whittled the shots from the whole group down to the best five photos of "typical" and "GREAT" learning. He was then going to use these photos to open up a discussion with his leadership team around the possible next steps for their school and then approach this with the whole staff. I thought this idea was a great way to incorporate students in the process of identifying the direction of the school and giving them some voice in the process. I also thought this could be a great way to explore the effective use of digital tools in classrooms too. That is a great story and example Matt. by any chance did he blog about it? I would love to hear more detail. You make an excellent point. As I read, I am reminded of just how stifled and limited many school's resources are. Currently, many of today's classrooms have little access to the vast opportunities that technology offers. I definitely agree student achievement should always be recognized, however, what is a celebration if only one or two are invited? Every child deserves a chance to be successful and innovative in the classroom. Until the gap is closed, our students are being offered an education that does not adequately prepare them for the evolving society we live in. Great points Joy! More efforts have to be made across classrooms, schools, and districts not just in access to technology, but an expectation of strategies that make learning relevant. All students deserve to find value in their education.